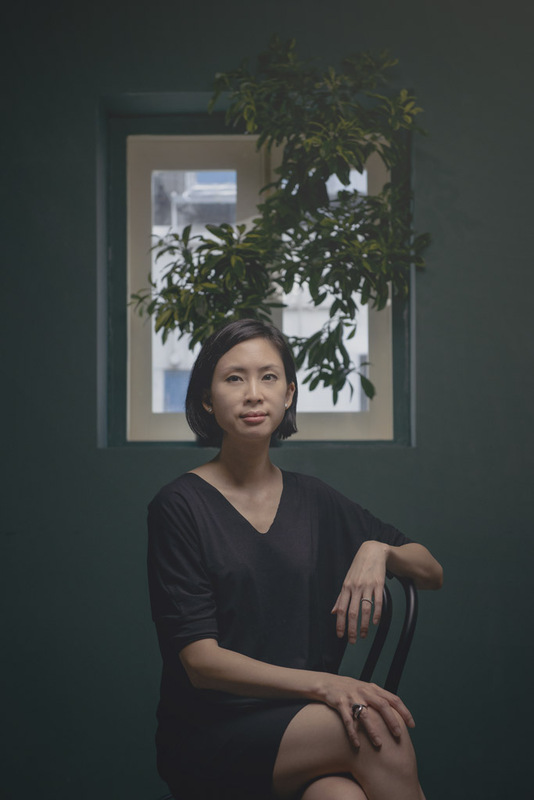 According to Ms. Sue-Shan Quek, Founder of The Supermarket Company (which is known for the SPRMRKT restaurants at Robertson Quay and Cluny Court), setting up Telok Ayer Arts Club was a natural evolution from the SPRMRKT brand. Tell us how the idea of Telok Ayer Arts Club came about. Was it something you always had in mind? When SPRMRKT left McCallum Street, an opportunity presented itself because the original space it occupied was still there and I wanted to revisit that culinary-cultural concept we initially had at SPRMRKT. I placed that concept in the forefront and wanted to explore what that meant for the company. That’s the moment where Telok Ayer Arts Club came into the fore, along with the team that came naturally together. This all happened quite fast. Everyone was positive and very much enthusiastic about the idea. I came up with the name because I envisioned a space that’s like a new version of the community center, where it’s heavily programed with art and music events, but at the same time, going back to the concept of the supermarket, where art is made accessible to a wider audience. I understand there are several individuals involved at Telok Ayer Arts Club. Who are they and what do they bring to the table? We have two curators on board. One of them is Ms. Anmari Van Nieuwenhove, who is already working with The Supermarket Company, and the other independent curator is Ms. Kamiliah Bahdar. Both of them are involved in the arts programing side. They will be reaching out to young and emerging artists who are multi-disciplinary in their fields, and working with them in a way that they can respond to Telok Ayer Arts Club's space. This also where our music director, Mr. Hasnor Sidik, comes in. He speaks to the curators on a weekly basis, allowing him to come up with a fresh take – almost tongue-in-cheek – on playlists for specific nights. We also have our beverage manager, Mr. Din Hassan, who is coming in with a very interesting take on Southeast Asian cocktails. Meanwhile our head chef, Mr. Bertram Leong, will be bringing to the table his take on French-Mediterranean cuisine, but making it more rustic and approachable. What kind of clientele will Telok Ayer Arts Club be attracting? We are looking to attract both creative and non-creative types; people who come from various backgrounds, both young and old. The idea was to get them to discover something different within the space and have something different to do, which will hopefully open up their minds a bit more. For Telok Ayer Arts Club, programing is key to sustaining interest. There will be weekly sessions to look forward to, while the curators will meet with the F&B team so that everyone has some creative input that goes into the whole program. People can then look forward to F&B offerings unique to the exhibition that’s currently ongoing. As an establishment that works with young Singaporean artists, what kind of challenges do you think they face? The challenges they face are very real. They sometimes suffer from not having the right platform to showcase their work and I believe they also suffer from the fact that collectors don’t quite understand who they are or where they’re coming from. We are hoping to fill that gap where we’re not just putting art on the walls, but curating meaningful exhibitions. Young artists can always come up to us and how us what they have. If they’re serious, have a plan, and know that there’s a lot of hard work involved in wanting to become a respected artist, we’d be more than happy to talk to them. Art as a business in Singapore – is it viable? For those who want to venture into the field of art, what advice do you have? As a business – yes, of course! It’s really about whether you want to commit the time and dedication to building yourself up. It takes a lot of commitment, but at the end of the day, it’s really about believing in yourself. For those looking to get their start, persevere through the hard times. They will always be around. Never be complacent, keep looking out for the right opportunity for exposure, and always have a point of view. Developing your own personal taste and style is also key, and you can only do that by being on the lookout for what’s happening. 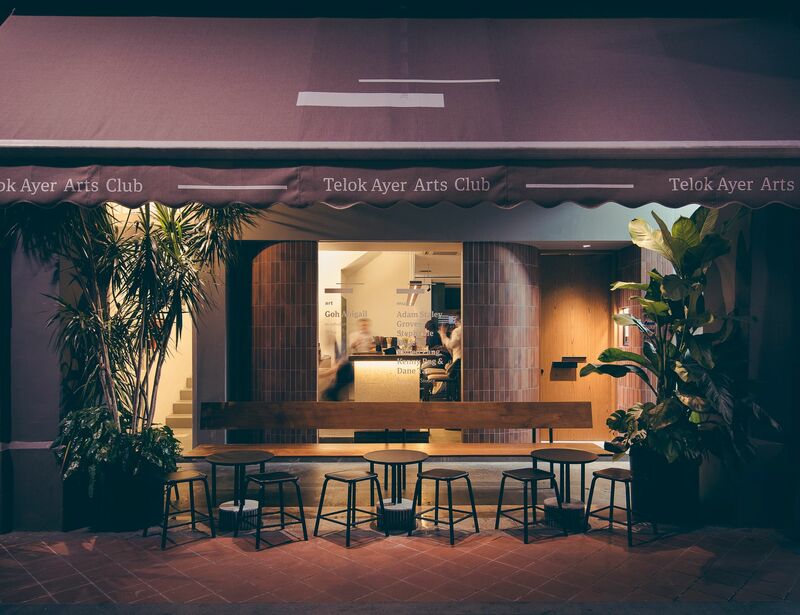 How do you want people to remember Telok Ayer Arts Club and its team? I don’t know why, but I can’t help but think of Zouk. It has crossed generations and everyone that you speak to, whether older or younger, has a special memory about the place. That’s something that I hope Telok Ayer Arts Club will be able to achieve. Whether you can call it an institution or not, we’ll see. But I hope it becomes a place where people can come to create new memories.